While I’m not sure being born in Maryland allows one to qualify as a Southern Belle, this book is a must-read for any woman (i.e. adult, grown lady, not your baby cousin), single or otherwise. 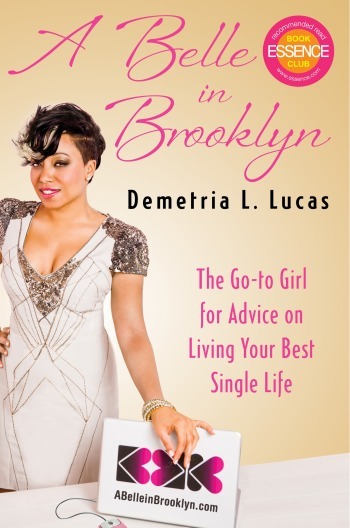 With humor, candor, and the willingness to tell (almost) all so readers can learn from her mistakes, Demetria L. Lucas proves she is definitely the “go-to girl for relationship and dating advice.” She definitely shows that all women aren’t busted and disgusted when it comes to relationships, nor are we all blue in the face from waiting to exhale. As the relationships editor for Essence, Lucas’ daily Real Talk blog posts edify, entertain and make us think, but this book was like settling in for a good session of girltalk. You will laugh, you very well may cry, and if you have lived life at all you will probably see yourself in its pages. And if you currently find yourself out on a limb, on an emotional ledge or are a hot mess when it comes to dating, please stop the madness and get this book. Read it. And do better. Being (love) crazy over the age of eighteen ain’t chic. Connect with Same Chic Different Day via Facebook!